It’s all about telling the brand story. The new Red Cross button icon does a great job of subtly bringing forth a historic part of the brand story. 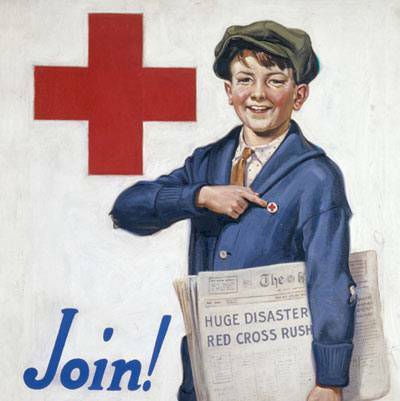 In its early days, members were given buttons to designate them as Red Cross volunteers. The Red Cross, by its nature, is a welcoming and warm entity – one that is there the help those in need when they need it most. The gray is much more friendly than their bold, harsh logotype and the relationship of the icon to the logotype is much more comfortable now. The new look is coming under fire by some, but I like it. It helps tell the story about who the Red Cross is and, for this history buff, pays homage to its humble beginnings during the late 19th and early 20th centuries. Here are the new Red Cross brand standards, a fun read for any brand enthusiast. 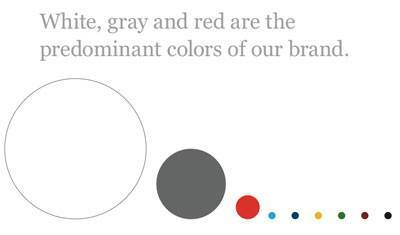 As a whole it is great, but take special note of the color proportion page—brilliant. These guidelines need to be superb to mitigate the inevitable misuse of the Red Cross brand by its 35,000+ employees within its 700 chapters nationwide. All of whom are great at helping those in need, drumming up support, and building a volunteer base, but may not understand the intricacies of how to apply the mark and visually represent this iconic brand. What do you think about the Red Cross’ new mark?